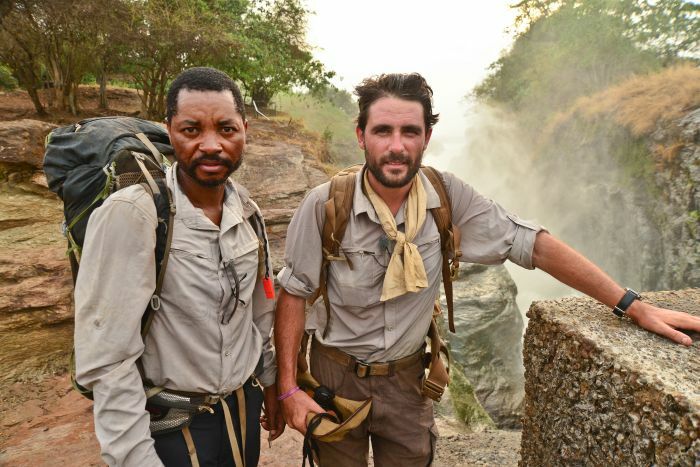 As recently documented in Channel 4’s Walking the Nile, explorer Levison Wood, former army man turned adventurer, set off on a nine-month walk along Africa’s (and the world’s) longest river which lasted 3,800 miles and about 7.5 million steps taking him across Rwanda, Uganda, Tanzania, South Sudan, Sudan and Egypt. 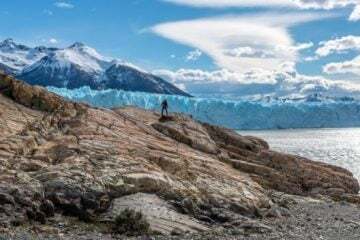 Adventure Travel: What made you want to walk the length of the world’s longest river? 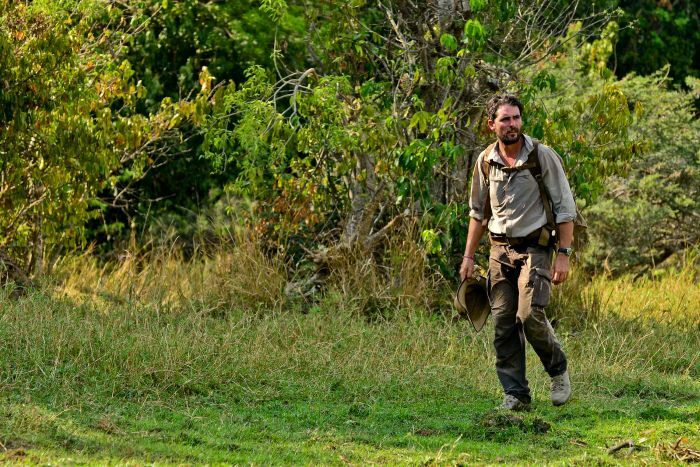 Levison Wood: I’ve always been interested in East Africa. I studied about African exploration at university, and southern and eastern Africa were some of the first places I travelled as an 18-year-old. I think I’ve got Africa under my skin. The Nile itself has always fascinated me – and lots of other people – because it’s a very mysterious river. And I’ve been doing expeditions for a long time, in the army and then with [adventure company] Secret Compass, so I wanted to do my own big adventure, and I wanted to find something that hadn’t been done before. Lev: Yes. When I was in the army I led some big expeditions, including the Parachute Regiment to climb Mera Peak in the Himalayas. 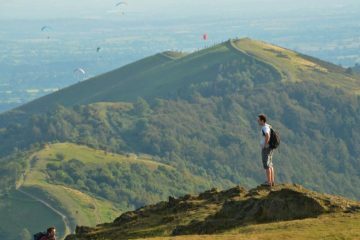 When I left the army I set up Secret Compass which specialises in exploration for all sorts of different clients, whether it’s groups, individuals, explorers, charities or companies. That’s taken me everywhere from Iraq, to walking across Madagascar, to taking a pop star to a concert in Siberia. And I’ve made films for the Discovery Channel and the National Geographic in Costa Rica and the Arctic Circle… I’ve been all over! Lev: Yes. When I was 22 I hitchhiked from London to India, which was my initiation into the world of serious travel, but since doing it professionally, through Secret Compass and the army, the expeditions had never been more than a month. This was definitely the biggest, physically and mentally, that I had ever embarked on. 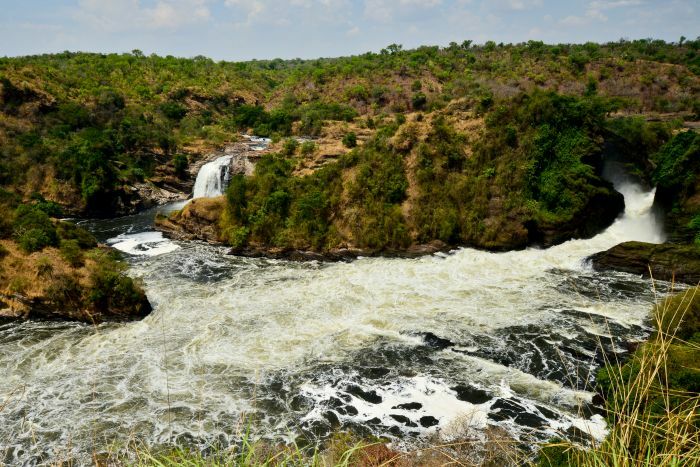 Lev: The source of the Nile is controversial – some say it’s Lake Victoria, but a huge river flows for about 400 miles into Lake Victoria, providing quite a significant amount of its water, and that begins in Rwanda. 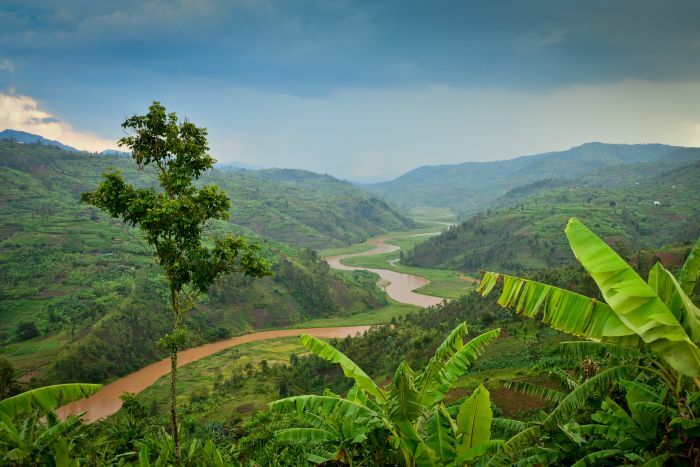 I chose to start at the Rwandan source, which is the furthest source of the Nile. I walked through Rwanda, Tanzania, Uganda, Southern Sudan, Sudan and Egypt. Lev: In Egypt there were roads all the way. 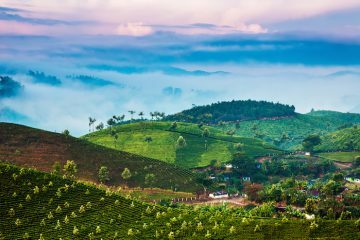 But before that, for the first three-quarters, it was simply following the riverbanks as much as possible: everything from the mountains of Rwanda, and the rainforest, to the swamps and lakes of Uganda and then the Sahara Desert. Very, very varied. Lev: There were times when I questioned what I was doing. But I thought that I wouldn’t be able to show my face again without having completed the walk, so I had to finish it. Lev: At the beginning it was tough – Rwanda is called the Land of a Thousand Hills for very good reason. There were lots of ups and downs and clinging to cliffs while trying to follow the river. In terms of environment it was just the sheer heat. 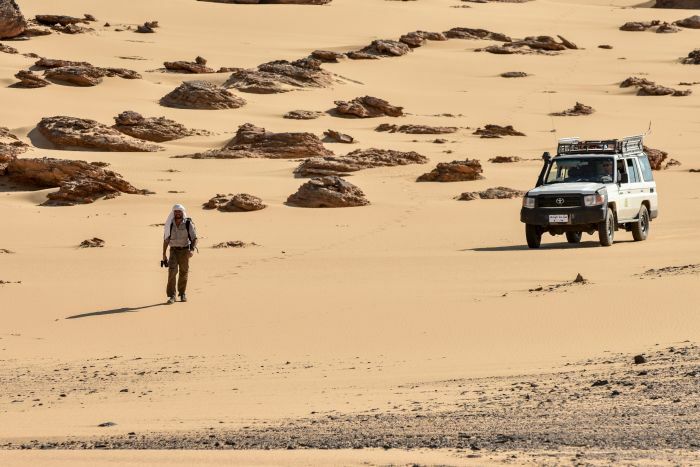 In Uganda it was incredibly hot, and the Sahara Desert in Sudan was particularly challenging because you’re covering big distances, about 25 miles a day, to get to the next well or the next place you can resupply with water. 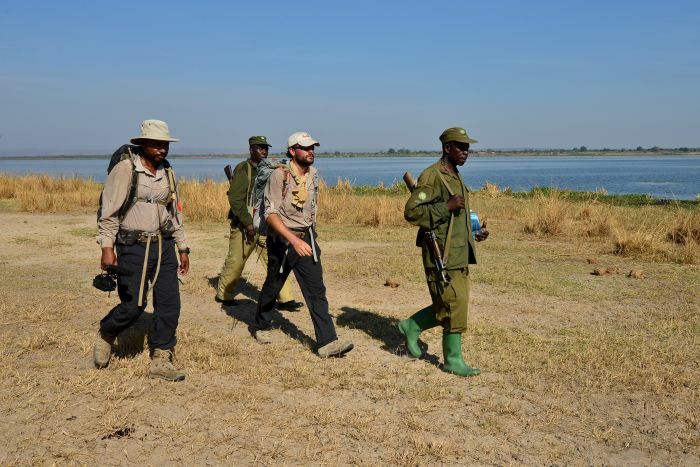 Lev: Journalist Matt Power, who came to report on the trip, died in Uganda, which was a very challenging time. And in South Sudan there was a civil war which caused all sorts of problems. AT:Tell us about some of the highlights? Lev: Walking through Murchison Falls National Park in Uganda, surrounded by spectacular scenery and wildlife. Also places like the Meroe pyramids in Sudan which were just amazing – stumbling across pyramids in the middle of the Sahara Desert, it was bonkers. AT: How did people react to you? Lev: Everything from complete disbelief to wonderful hospitality. In Sudan in particular people were incredible friendly and would go out of their way to give us food and water – we’d very rarely pay for a meal there because everyone was so keen to host us. The other interesting thing is that most people didn’t have a grasp of just how long the Nile is. I asked a couple of people how long they thought the walk would take, and they said, “At least a week.” To most people in Africa the river is just a little stretch between the next village; they don’t leave that one or two-mile area. To say ‘we’re going to Egypt’ is to them just another village somewhere. AT: How much planning did you do before you set off? Lev: In terms of preparation it took about 2.5 years to get everything together, but that was more finding the funding, getting the team together and research. I didn’t get the funding until a month before going, so I had a month to plan the route and everything else – it was quite a rush job. I used Google Earth to get a rough idea of how long it was going to take and the places I was going to pass through – I wouldn’t exactly call it a schedule but you can zoom right in to see distances involved, how long it will take and places you can resupply. 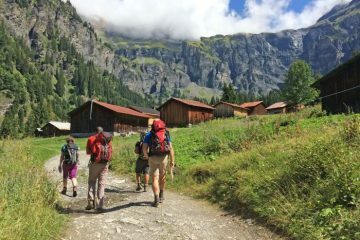 Lev: It all depended on the environment, but there was camping gear, technology – a laptop, a satellite phone, a camera and sound equipment – plus food and personal stuff. It generally weighed about 15kg. Most of the time we camped, but again it depended on where we were. In Rwanda and Uganda we often walked from village to village and camped outside the villages if there was nowhere to stay; sometimes when we reached bigger towns we’d go to a guesthouse and quite often, especially in Sudan, people would just invite us into their homes. 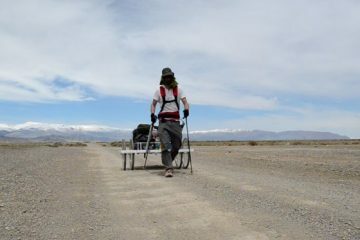 Lev: Sometimes I carried everything myself on my back, but a lot of the time we had to get local guys to help out as porters. So it would be me, my guide/translator and a local who would come with us for a couple of days each time, which was good, as it meant we got to understand the local area a bit more. Lev: A lot of people ask that question but I don’t have an answer! Everything I carried was essential – I would never carry anything unless I needed it pretty much every day. I couldn’t have done it without everything that I carried. Let’s go for a compass. 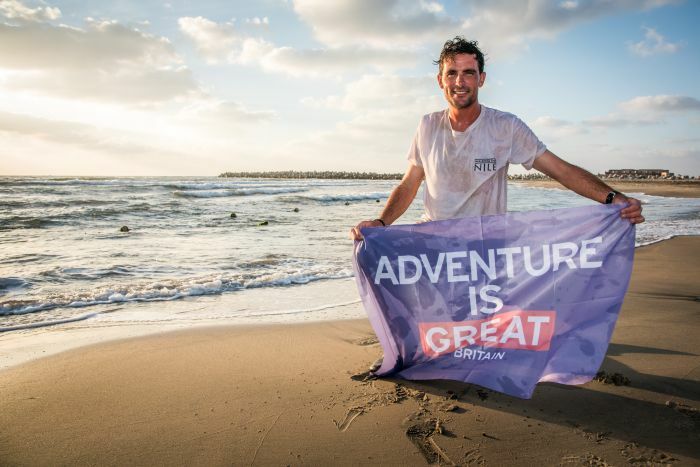 AT: You were making a series about the expedition for Channel 4 – how did that affect the journey? Lev: It was an incredible opportunity to be able to share the journey to such a big audience. It made it more difficult in that filming is going to cause bureaucratic problems, like getting the right permits, and having a film crew slows you down as well. But it was offset by the opportunity to share the journey, and it helped to get funding. And also when you’re making a documentary you can get access to places you wouldn’t normally.